Below you can view all the homes for sale in the Concord Hall subdivision located in Alpharetta Georgia. Listings in Concord Hall are updated daily from data we receive from the Atlanta multiple listing service. To learn more about any of these homes or to receive custom notifications when a new property is listed for sale in Concord Hall, give us a call at 404-998-4017. 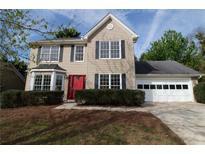 Zoned For Lake Windward, Taylor Rd & Chattahoochee. Hurry, This Wont Last! 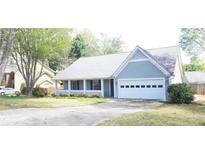 MLS#6540697. Solid Source Realty, Inc.. Located In A Great Community W/ A Pool,Tennis Courts& A Playground!New Windows Throughout The Home& Newer Roof.Excellent,Top-Rated Schools & A Wonderful Neighborhood For Families.This Home Is Move-In Ready MLS#6539966. Chapman Hall Realtors. This Home Is Ready For You To Move-In! MLS#6537254. Century 21 Results. 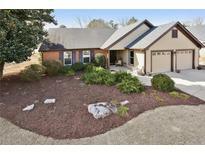 Close To Shopping, Restaurants, Golf Courses And Ga 400. MLS#6527405. Keller Williams Realty Atl Part. Within Minutes To 400, Dining, Entertainment & Shopping, Including Downtown Alpharetta & Avalon. MLS#6515208. Better Homes And Gardens Real Estate Metro Brokers. Fenced Back Yard. Top Alpharetta Schools! MLS#6127184. Keller Williams Realty Chattahoochee North, Llc.